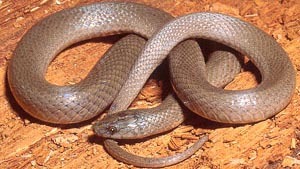 Adult from Pratt County. Image by Travis W. Taggart. 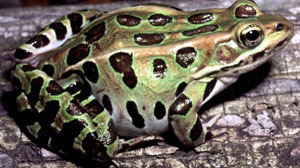 An adult Southern Leopard Frog from Douglas County, Kansas. Image © Suzanne L. Collins, CNAH. Image © Suzanne L. Collins, CNAH. An adult from Trego County, Kansas. Image © Suzanne L. Collins, CNAH. 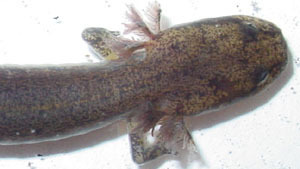 An adult specimen from Clark County, Kansas. Image © Suzanne L. Collins, CNAH. An adult from Cherokee County. Image © Suzanne L. Collins, CNAH. 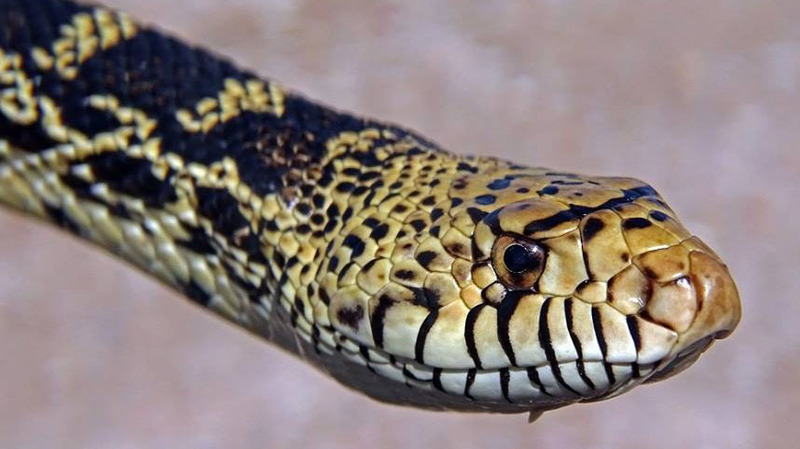 An adult Great Plains Ratsnake from Ellis County, Kansas. Image © Suzanne L. Collins, CNAH. 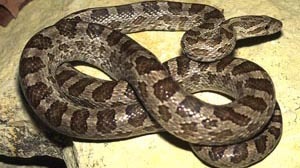 An adult Gophernake from Comanche County. © Maci Loughrea. The Kansas Herpetofaunal Atlas (KHA) began as a small personal project to map and document the herpetofaunal diversity in 1999. A State Wildlife Grant (USFWS/KDWPT/Sternberg Museum joint venture) in 2003 facilitated enhancements to the site and produced a significant increase in specimen occurrence records. 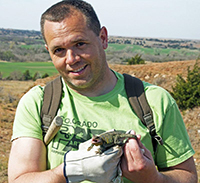 Additional assistance was provided by the Center for North American Herpetology, Kansas Herpetological Society, and many individual volunteers. The Atlas continues to be maintained and enhanced by the author. The KHA serves both education and conservation. 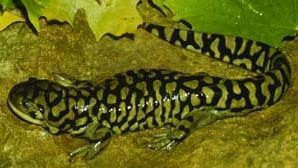 The occurrence records (some going back to the 1850s), represent baseline data for future research, assist with conservation needs as they arise, and contribute to increasing public awareness of the amphibians and reptiles in the state. 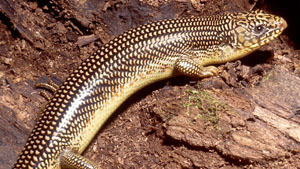 The Atlas contains information on all known occurrences of Kansas' extant amphibians and reptiles. Unique to the site, are the most up-to-date distribution maps of each species known to occur (or potentially occur) in the state. Each species account has text descriptions summarizing the description, distribution, natural history, taxonomy, and an ever-growing list of references. Users have full access to most records and are encouraged to report new occurrences as they are found. Specific locality data for species currently designated as Endangered (E), Threatened (T), or Species in need of Conservation (SINC) by Kansas statute or KDWPT regulation, is limited. If you need these data, you are encouraged to contact the collection that maintains them and make a request. 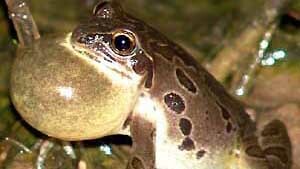 There are 102 established species (different kinds) of amphibians and reptiles in Kansas. That total includes 22 frogs ('toads' are frogs), 8 salamanders, 15 lizards (including 3 reproducing introduced exotics), 42 snakes (including one introduced venomous form), and 14 turtles. Only five species occur statewide: American Bullfrog, Gophersnake, North American Racer, Ornate Box Turtle, and Snapping Turtle. The rest have their limits due to interactions with environmental variables that are difficult to tease apart. In general (and especially with respect to amphibians), the herpetofaunal biodiversity increases to the south and east (there are 79 species known from Cherokee County (southeast), while only 32 have been confirmed from Cheyenne County (northwest). The Atlas represents the work of thousands of individuals that collected and recorded the 60,000+ specimens and observations presented herein. Our current level of understanding with respect to the Kansas herpetofauna is a result of their efforts. And while the distribution and natural history of the Kansas herpetofauna are probably better understood than any comparable sized (and diverse) region on Earth. There is still much to learn, and those of you wishing to contribute to the Atlas may do so by donating specimens or adding observations directly. I hope you find the KHA useful... comments and suggestions are always welcome. Citation: Taggart, Travis W. 2019. 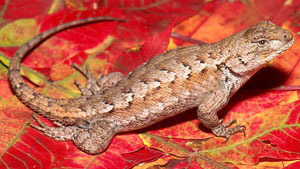 Kansas Herpetofaunal Atlas: An On-line Reference.